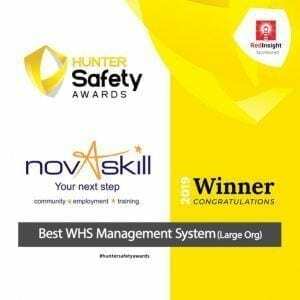 Novaskill wins Best WHS Management System at Hunter Safety Award! 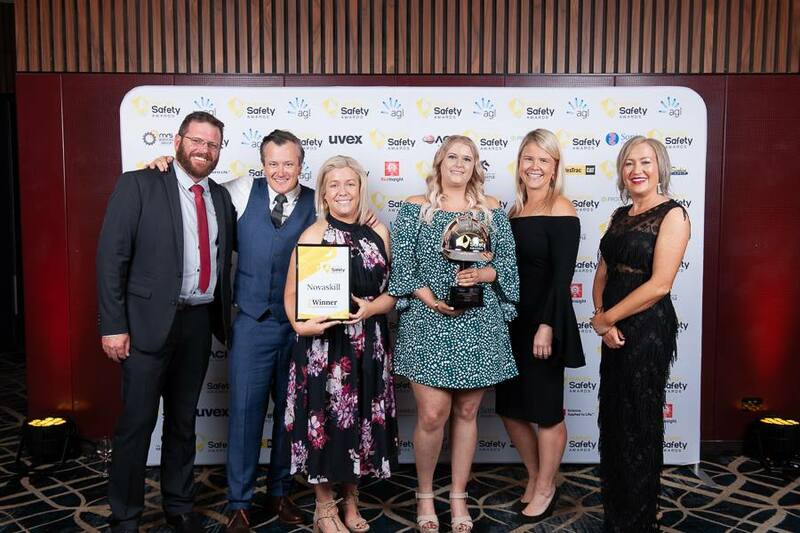 Novaskill joined a number of organisations from the Hunter Region on 15th March and has taken out one of the Hunter Regions most prestigious awards, the Best WHS Management System (Large Organisation) at the Hunter Safety Awards 2019. The award acknowledges our demonstrated commitment to the ongoing improvement of workplace health and safety outcomes, through an integrated systems approach and Novaskill could not be more proud to be named the winner for 2019. Accepting the award at the annual gal event, held in Newcastle on March 15, 2019, was Assistant General Manager, Amanda Reilly and Senior HR and Safety Officer Emma Meldrum. Emma acknowledged that this award was a tremendous team effort and congratulated the hard working staff at Novaskill, saying “Our team have worked, and do always work incredibly hard to promote, consult and improve safety systems for our apprentices, trainees and employees and this award is an amazing reflection of that effort. From streamlining WHS processes into easily accessible electronic forms, ensuring our injured workers are supported and guided through the workers compensation process to overhauling our Host Employer WHS Evaluation so it strictly adheres to the legislative requirements, this award is a massive achievement and you should all be incredibly proud”. Novaskill would like to acknowledge the other finalists and thank the awards major sponsor Red Insight, the judging panel and the entire awards committee for such a memorable night; one we guarantee Novaskill will not forget!. If you would like more information about how Novaskill can provide assistance to an injured worker or how we’re able to support your business to ensure a safe and competent workforce, please contact us today.